A visit to the historic Bagatti Valsecchi house museum in Milan is a step back in time to when every Italian palazzo was a private home. As a bonus, it also houses a nice art collection. The Bagatti Valsecchi Museum is in the Montenapoleone area of central Milan, and was once the home of the Bagatti Valsecchi brothers – Fausto and Giuseppe. They died in the early 1900s, and the palazzo stayed in the family until 1974, when one of Giuseppe's sons sold the palazzo to the region of Lombardy for use as a museum to house the brothers' impressive collection of decorative arts and paintings. Among the items in the collection are furniture, tapestries, glassware, ivory, and ceramics. The paintings include works by Donatello and Bellini. The intention of the Bagatti Valsecchi Foundation was to create a reproduction of a 16th-century Italian nobleman's home, including period furnishings and décor. The Bagatti Valsecchi Museum is located near the Montenapoleone Metro stop on Via Gesu. It's open Tuesday-Sunday from 1 to 5:45pm, and tickets are €9 for adults, €6 for seniors and children ages 6-14 (children 5 and under are free). The museum is also €6 for everyone on Wednesdays. 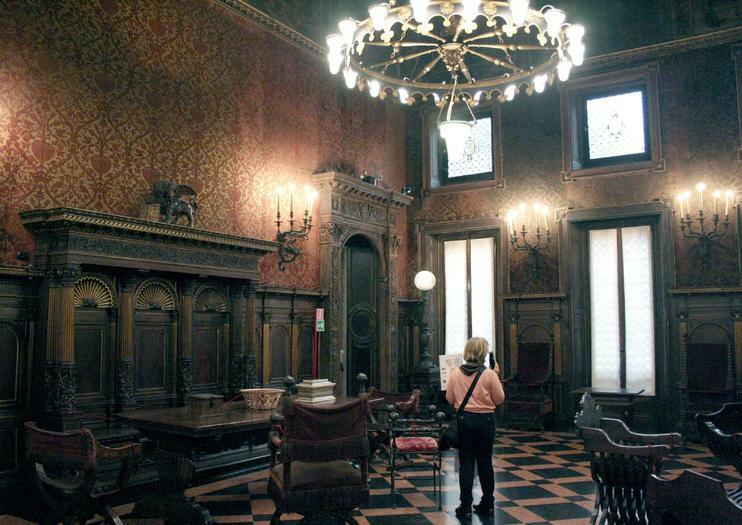 See what the 16th-century mansions of Milanese nobleman were like with a trip to the Bagatti Valsecchi Museum in Milan. This once private home is now a museum filled with furniture, paintings, tapestries, weapons, textiles, and more from the Italian Renaissance period. Stroll through the opulent hallways of the mansion and see masterpieces from the era. Discover the designer delights of Milan on this walking tour of Italy’s fashion capital. The Quadrilatero della Moda, the city’s fashion district, is home to some of the world’s most iconic high-end clothing brands, such as Dolce & Gabbana and Bulgari. Follow in the footsteps of chic locals as you explore the district with an informative guide, who points out shopping landmarks — like the elegant Galleria Vittorio Emanuele II — as well as other beautiful sights. Among the collections of artistic objects of the Bagatti Valsecchi Museum, metal objects of Italian and foreign manufacture hold a relevant place: from the brass plates preserved in the Dining Room to the washbasin in the Bath Room, which has an antique appearance but actually conceals an ingenious modern hydraulic system. Metal is the dominant element not only for these decorative objects but also for the beautifully wrought armours, on display in the Gallery of Arms in the Hall of the Museum.